"Whether you're changing jobs and need help relocating your family or you simply need help moving into your new dream home, a team of professional movers is always preferable to help from your friends. 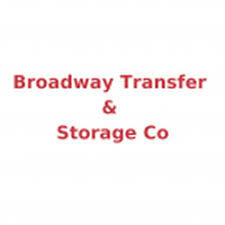 Broadway Transfer Storage Co. in Russellville, AR, offers a quick and painless moving service for those needing local and long distance moving assistance. Locally operated for more than two generations, this moving company offers the comfort you deserve from the company you're entrusting your belongings to. Whether you need packing materials or trained moving professionals, you'll find just what you need from this moving company. They have a wide array of moving materials and supplies available, ranging from cartons and protective wraps to box labels and more, all at prices you can afford. They also offer packing and unpacking services carried out by their team of experts, taking quite the load off of your back, literally and figuratively.